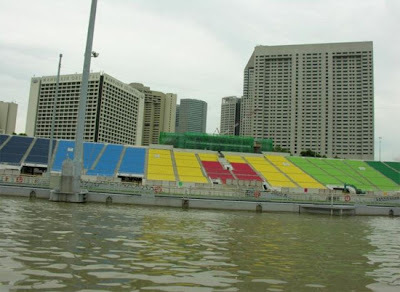 A lot of stadiums around the world have the finest design and they give pride to the countries where they are located. 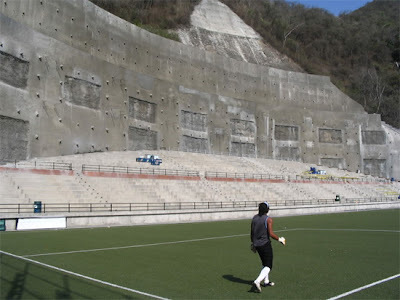 Yet there are some stadiums where architects have failed and there are some very clever adaptations to the surrounding landscape and that makes them kinda weird. Japan, Osaka stadium, former home ground of baseball team Nankai Hawks. 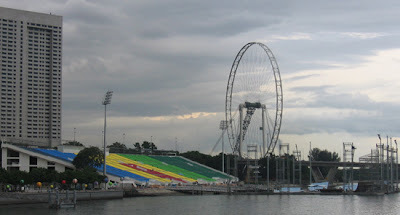 The stadium situated in center of Osaka City, with capacity of 31379 seats. In 1988, The Hawks' owner company sold the team to Daiei Group and moved to Fukuoka City. 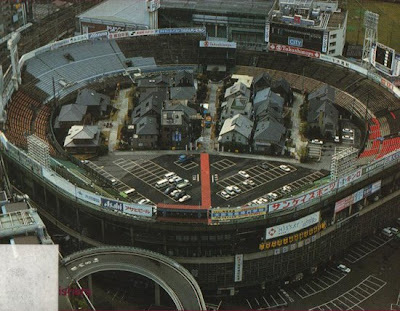 As 3 remaining teams in Metro Osaka got their own stadiums, Osaka stadium was abandoned for baseball and soon converted to sample housing showground. The stadium was demolished in 1998 and and shopping center is build on that location. 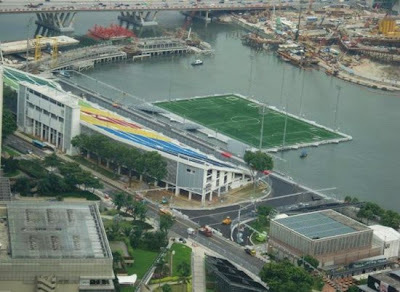 Venezuela, Caracas "Cocodrilos Sports Park" is a multi-use stadium. 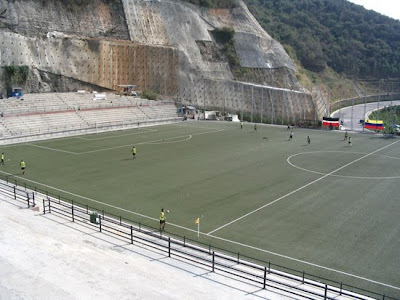 It is currently used mostly for football matches and is the part time home stadium of Caracas FC. 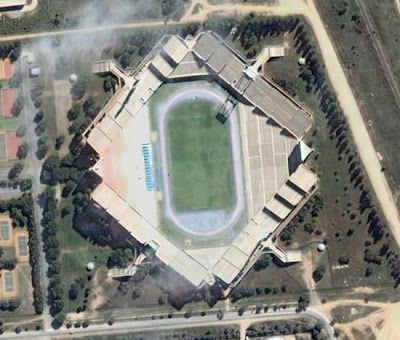 The stadium holds 3,000 people and lies next to a highway. Portugal, Braga. 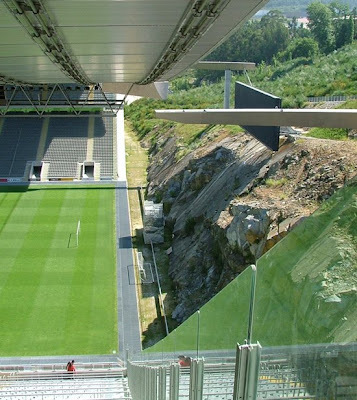 One of the most expensive and weirdest stadiums in Portugal. 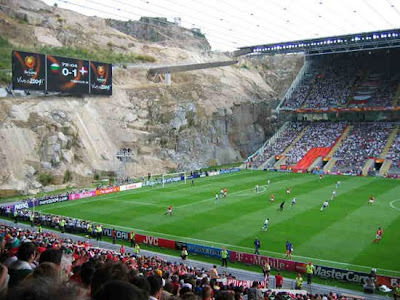 The enormous rock moving process contributed heavily to the final $122 million cost, more than any other of the ten new stadiums built for European football championship in 2004. 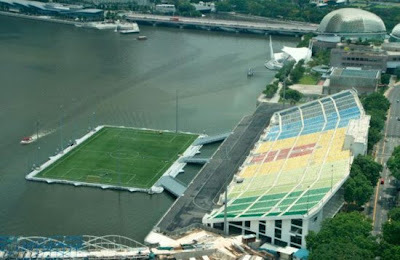 The stadium is often considered one of the most original and beautiful stadiums in the world. We find it strange. 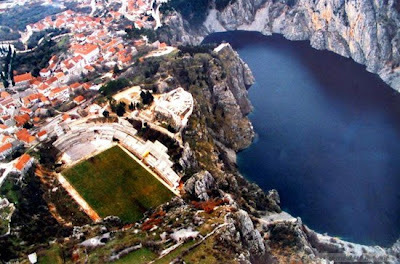 Croatia Gospin dolac is a stadium in Imotski. 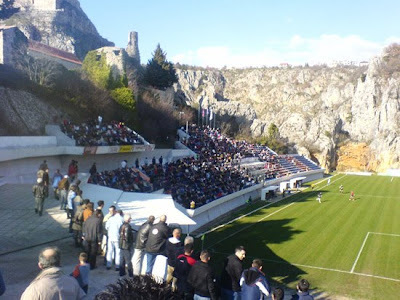 It was built in 1989 and serves as home stadium for NK Imotski football club. 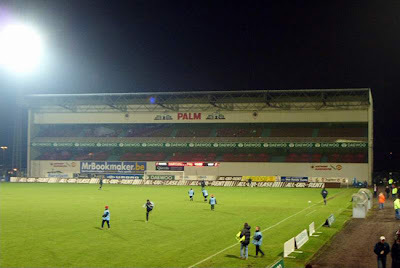 The stadium has a capacity of 4,000 spectators. Beautiful strange stadium. 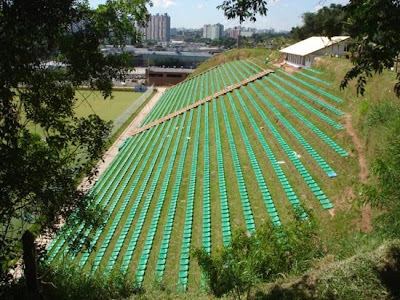 Brazil Eco-Stadium "Janguito Malucelli" became famous for being the first "green stage" of Brazil, his main stand was built with chairs placed on top of a hill, without the use of concrete. Therefore, the stage is also called Eco-Stadium. 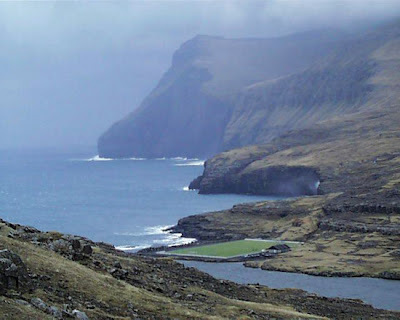 The Faroe Islands are an island group situated between the Norwegian Sea and the North Atlantic Ocean, approximately halfway between Scotland and Iceland. 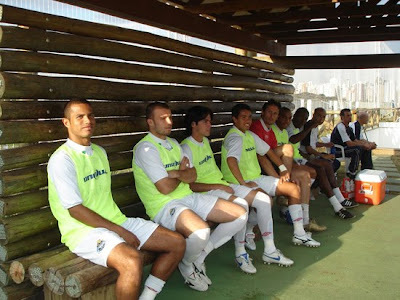 Their national football team is playing with European national teams on pitch located next to the sea. 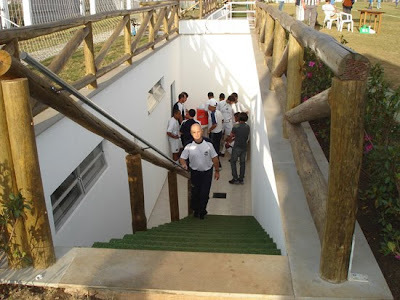 There's also a guy in a boat that collects the balls that fall into the sea during a match. 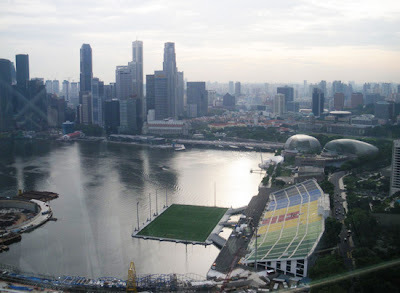 Singapore, Marina Bay. Made entirely of steel, the floating platform measures 390 feet long and 270 feet wide. It can bear up to 1,070 tonnes, equivalent to the total weight of 9,000 people, 200 tonnes of stage props and three 30-tonne military vehicles. 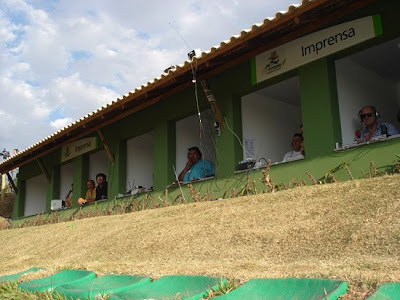 The gallery at the stadium has a seating capacity of 30,000 people. 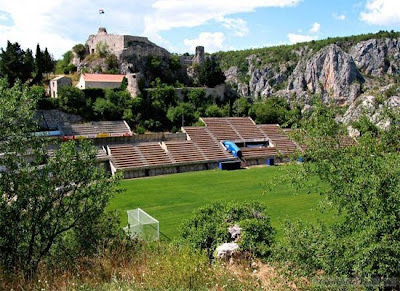 Bulgaria FC Chernomorets Balchik football club from the town of Balchik, currently playing the second division of Bulgarian football. 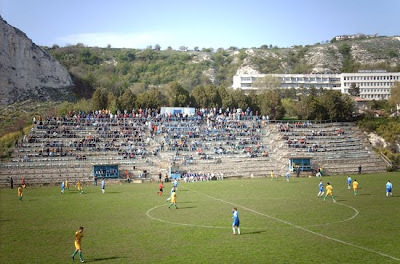 The team plays its home games at the local "Balchik Stadium" with 6,000 of the ugliest seats we've ever seen. 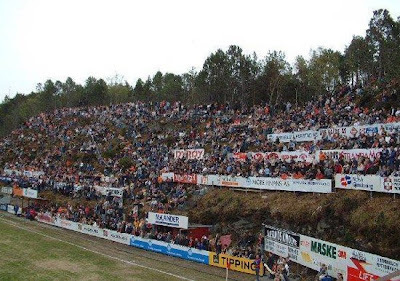 Norway FC Aalesund old stadium was very strange with terrace on a hill. 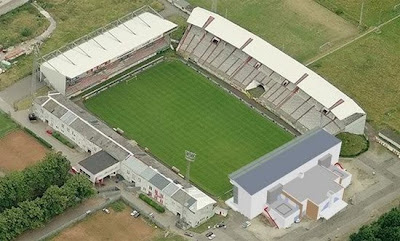 Club build a new stadium in 2005. 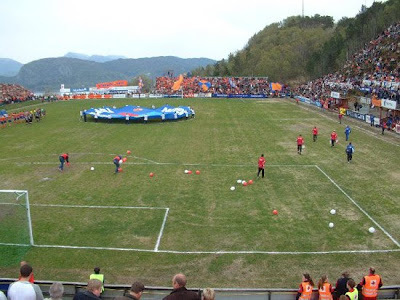 It was also a home of the Norwegian Woman's Premier League matches. 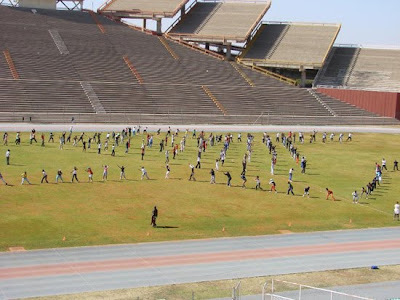 South Africa Mmabatho Stadium is a multi-purpose stadium in city Mafikeng It is currently used mostly for football matches. 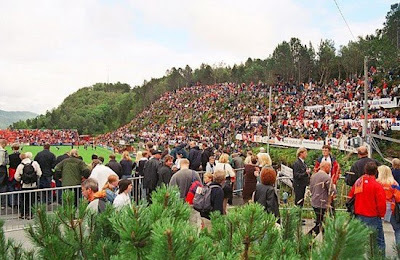 The stadium holds 59,000 people and was designed and built in 1981 by a Russian construction company. 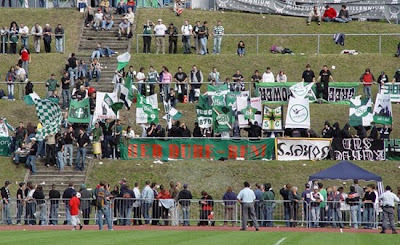 Austria, Vienna the "Hohe Warte Stadium" is a multi-purpose stadium in. 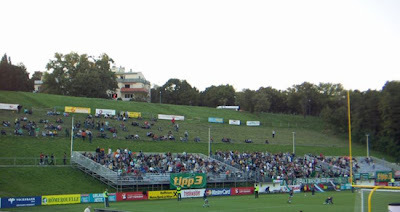 Primarily a football venue and the home of First Vienna football club, it has also occasionally played host to Austrian international rugby union matches and the Vienna Vikings American Football team. Belgium FC Antwerp stadium was built in 1923 and was once one of the biggest and most luxurious soccer stadiums in Europe, now stands look totally different, each competing for the title "ugliest stand world wide". Ukraine, absolute winner , gravity is not a best friend of players on this team. 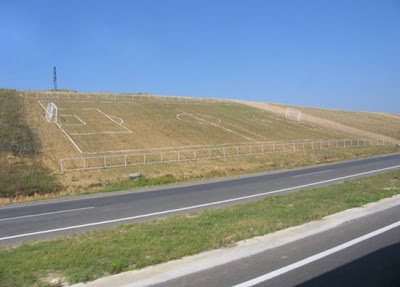 We don't have additional info about this pitch and is there any football matches going on on this field, but for sure it is fun for drivers on this road. 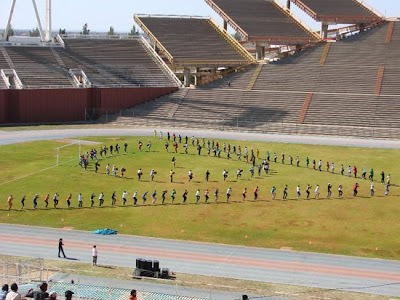 0 Response to "Stadiun Olah Raga Teraneh Dunia"